Our event planners love to plan events all over the country and have enjoyed working in some of the most prestigious locations in the United Kingdom. Luxury wedding planners and our wedding planning team are experts in barmitzvah planning and batmitzvah planning as well as all other event planning. Below are a selection of the amazing wedding venues and event venues that we have had the pleasure of working in. Luxury wedding planning at The Savoy in London, as well as batmitzvah planning at Madame Tussauds in London, charity dinners at Claridges in London. 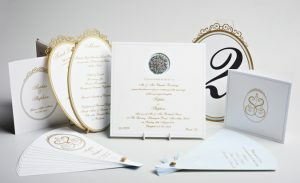 Bespoke wedding planning at The Dorchester in London, along with wedding planning at The Mansion in Leeds. Excellent wedding planning at The Queens Hotel in Leeds. Exciting barmitzvah planning at The Queens Hotel in Leeds, customised event planning at The Majestic Hotel in Harrogate. Elegant wedding planning at Harewood House in Leeds. Wedding planning at Weetwood Hall in Leeds. Designer wedding planning at Wood Hall at Linton in Leeds together with wedding planning at Rudding Park in Harrogate. Funky barmitzvah planning at Rudding Park in Harrogate. Party planning at Rudding Park in Harrogate alongside wedding planning at Oulton Hall near Leeds. Barmitzvah planning at Wharfedale Grange near Leeds and wedding planning at The Old Swan in Harrogate. Royal wedding planning at The Crown Hotel in Harrogate, alongside marquee wedding planning at The Star Inn at Harome. Batmitzvah planning at New Craven Hall, Leeds. Wedding planning at Ripley Castle, Ripley. Event planning at Woodlands hotel, Gildersome. As well as barmitzvah planning at The Engine Shed, Wetherby, wedding planning at Hazelwood Castle, not forgetting luxurious wedding planning at Swinton Park, Masham, wedding planning at Allerton Castle. Boutique barn wedding planning at The Chilli Barn, Otley, countryside wedding planning at Denton Hall near Ilkley, wedding planning at The Priory Cottages near Wetherby. Religious barmitzvah planning at Etz Chaim synagogue Leeds and barmitzvah planning at Shadwell Lane synagogue Leeds, marquee barmitzvah planning.